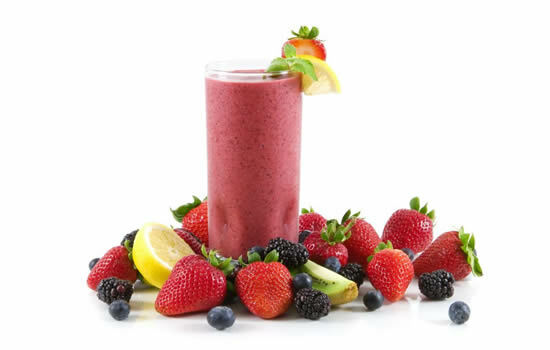 Smoothies are a satisfying way to increase the intake of healthy vegetables and fruits. Because there is such a varied choice of ingredients to add in a smoothie, it benefits to experiment with a combination of fruit and vegetables to achieve the desired taste. Also, add in yogurt or fat-free milk to help up the intake of vitamin D and calcium. A regular intake of healthy fruits and vegetables can offer a variety of health benefits, including reducing eye disease, fights off certain cancers, lowers the risk of stroke, reduces blood pressures, and cuts the risk of heart disease. Whatever the berries (raspberries, cranberries, strawberries, blueberries, etc.) they are certain to offer a perfect source of antioxidants to help fight off cardiovascular disease and signs of aging. Strawberries and blueberries are appreciated for including a high concentration of antioxidants which help to protect the arteries from cholesterol. Also, a varied mixture of berries can provide magnesium, potassium, vitamin A & C, and fiber. Raspberries are low in sugar and contain about 8grams of fiber per cup. Berries are best paired with a source of protein to ensure this muscle-building, cancer-fighting, and anti-aging snack is provided. Nutritious citrus fruits like limes, lemons, oranges, and pineapples are refreshing and quickly help to boost the energy levels and add more folate, potassium, and vitamin C to the daily diet. Plantains and bananas are the types of fleshy fruits that help to up the intake of vitamin C, fiber, and potassium. A powerhouse of a smoothie is achieved with a combination of berries and bananas. An exercise enthusiast can replace any lost potassium from exercising with a banana smoothie. Bananas are appreciated for its ability to offer a dessert-like, creamy texture. They are also loaded with vitamin B6 which is essential for a properly working immune system and healthy brain function. Add more antioxidants and a thicker texture to a smoothie by using cherries, mangoes, nectarines, or peaches. Each of these fruits are packed full of potassium, vitamin A, and vitamin C. A varied intake of smoothies is certain to mean the diet is rich in a diverse range of vitamins and minerals. Sweet potatoes, carrots, butternut squash, and pumpkin are loaded with iron, vitamin A, and potassium. A mix of vegetables also helps to add sweetness, texture, and color to a preferred smoothie. Aim to use fresh fruit, but if canned squash or pumpkin is used ensure it is 100% pure with no sugar added. An appealing way to introduce more greens to the daily diet is a smoothie containing green peppers, kale, Swiss chard, or spinach. These vegetables are great for providing a reliable source of calcium, vitamin C, iron, and Vitamin K.
Spirulina is a type of blue-green algae and has a high concentration of beta carotene, iron, zinc, B vitamins, omega-3 fatty acids, and protein. While not a familiar choice, this superfood can provide a wide array of nutrients to enhance the health.